hopTo allows editing of older MS office formats of Word (.doc) and Excel (.xls) created by older Office versions, or specifically saved with these formats. 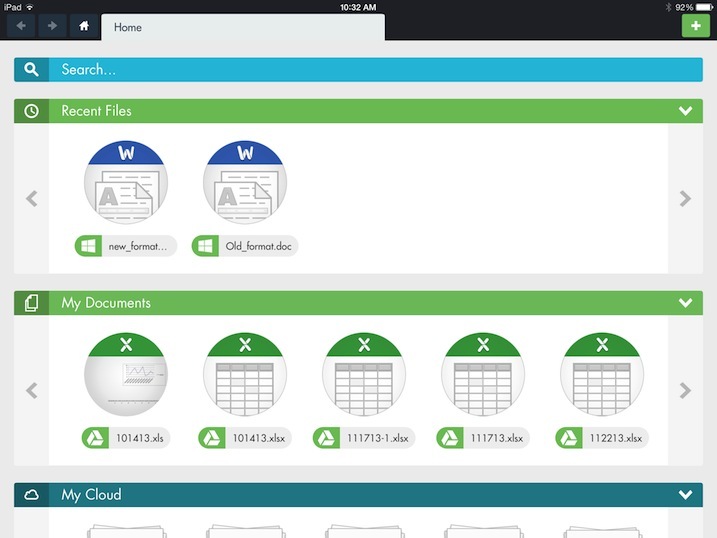 Since hopTo uses a newer Office version on its back end, editing older format documents will then save them as new files with the newer MS Office formats (.docx and .xlsx). Open an office document of an older format. 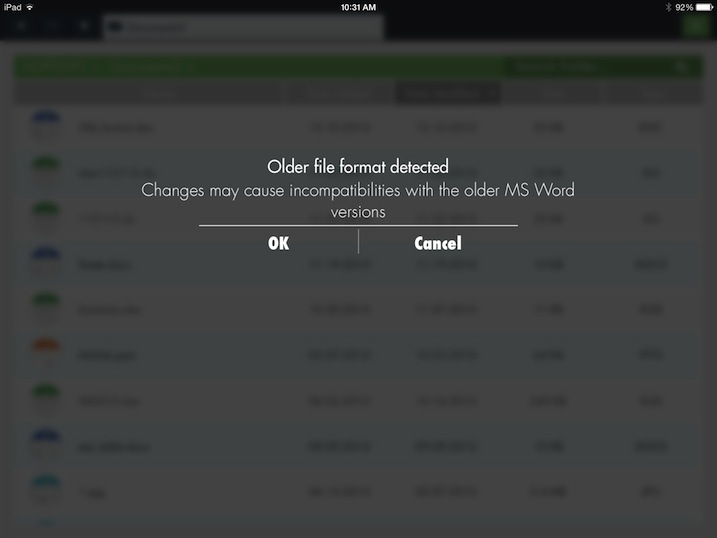 You will receive the compatibility warning that changes that you make might not be compatible with older MS Office versions. 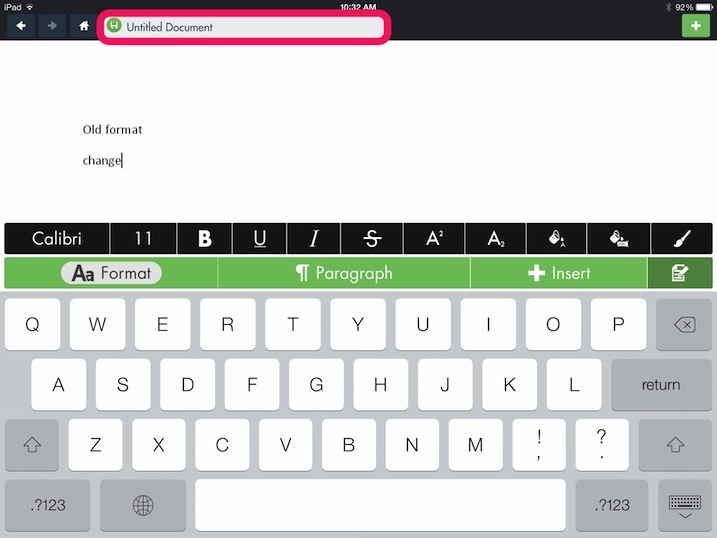 After tapping on 'OK' the document will open for editing. Note that is named "Untitled Document" as hopTo has cloned the older document and created a new one with the same content but with the new format. Make sure to tap the save button to save your changes. Going back to the folder from which you opened the file for editing, note the new file that was created with the newer file extension. 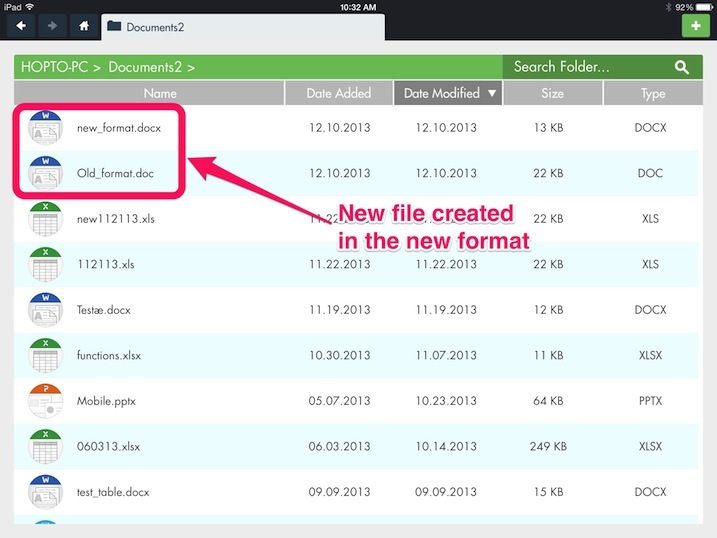 The old file is still there and does not include the changes you made - these are all reflected in the new document. 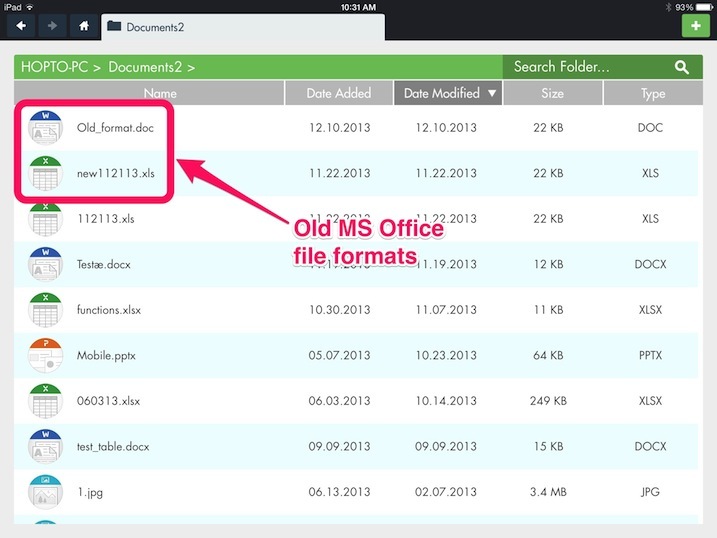 Looking at the "Recent Files" pane you can see both the old and the new document show up as recently opened.